Green Fire Press, 9780986198076, 374pp. WRITING FIRE features powerful writing by more than 75 women of all ages and from many walks of life, most of them local to the Berkshire region. 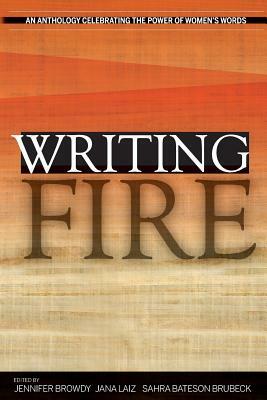 Including fiction, poetry, personal narrative, essays and humor, Writing Fire offers an intimate window into the strengths, passions and perspectives inspiring and unforgettable women writers. janalaiz.com. _____________ Sahra Bateson Brubeck earned her B.A. from Bard College at Simon's Rock in 2014, majoring in Creative Writing with a minor in African American Studies. Her most recent creative work focuses mainly on the tradition of retelling and rewriting ancient myths. She strives to shed light on the convoluted histories and stories of ancient Greek Goddesses, often rearranging and repositioning the interpersonal dynamics that originally comprised the ancient myths, in an effort to add depth to the stories' notions of power and femininity.